It is not complete if go to France without seeing the Eiffel Tower. 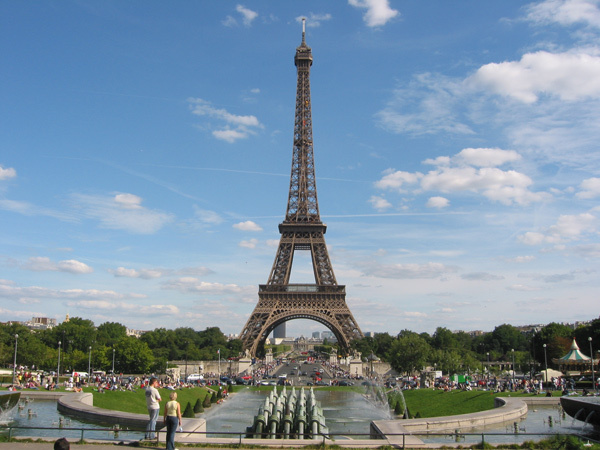 The Eiffel Tower is a symbol of Paris and one of the top tourist attractions in France. The tower is the tallest building in Paris. Located on the Champ de Mars in Paris, Eiffel Tower has nick name the iron lady,French call it with La dame de fer. The Eiffel Tower was built for the World Exhibition in 1889, held in celebration of the French Revolution in 1789. The man behind the Eiffel Tower was Gustave Eiffel, known from his revolutionary bridge building techniques, as employed in the great viaduct at Garabit in 1884. These techniques would form the basis for the construction of the Eiffel Tower. He was also known for the construction of the Statue of Liberty's iron framework. 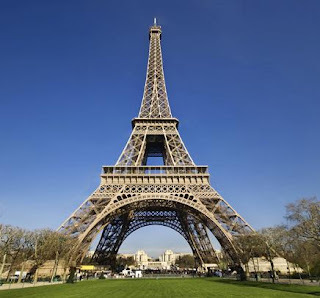 The Eiffel Tower stands 324 metres (1,063 ft) tall, about the same height as an 81-storey building. The pig iron structure of the Eiffel Tower weighs 7,300 tonnes, while the entire structure, including non-metal components, is approximately 10,000 tonnes. As a demonstration of the economy of design, if the 7,300 tonnes of the metal structure were melted down it would fill the 125-metre-square base to a depth of only 6 cm (2.36 in), assuming the density of the metal to be 7.8 tonnes per cubic metre. Depending on the ambient temperature, the top of the tower may shift away from the sun by up to 18 cm (7.1 in) because of thermal expansion of the metal on the side facing the sun. In the basements of the eastern and western pillars, one can visit the gargantuan 1899 machinery which powers the elevators, an astonishing spectacle reminiscent of a Jules Verne novel. From the top of the Eiffel Tower, you can see Paris in real time, 24 hours a day, whatever the weather conditions in the French capital. Eiffel Tower used as a radio broadcasting tower and observation tower. Since the beginning of the 20th century, the tower has been used for radio transmission. Until the 1950s, an occasionally modified set of antenna wires ran from the summit to anchors on the Avenue de Suffren and Champ de Mars. 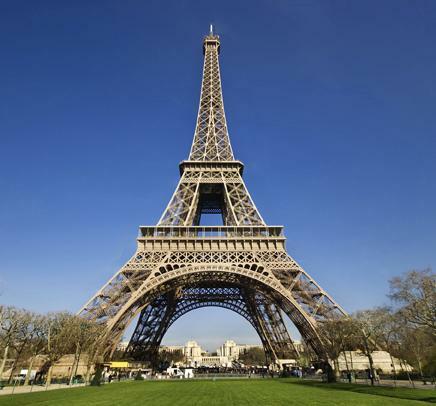 On 20 November 1913, the Paris Observatory, using the Eiffel Tower as an antenna, exchanged sustained wireless signals with the United States Naval Observatory which used an antenna in Arlington, Virginia. The object of the transmissions was to measure the difference in longitude between Paris and Washington, D.C. Today, both radio and television stations broadcast their signals from the top of the Eiffel.